Thanks to a stronger U.S. dollar and declining unemployment levels, many Americans are traveling more this year than in past years. 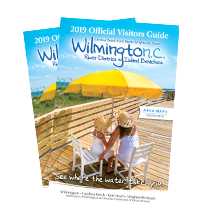 If you’re one of them, consider Wilmington, North Carolina for your next road trip. Located within a six- to 10-hour drive of states like Maryland, Pennsylvania, Kentucky, Ohio and Tennessee, Wilmington offers four unique settings in one destination, thanks to three nearby beaches. It’s North Carolina’s most accessible coastal destination, and it’s easy to get around once you’re here. So start packing the car and set your sights East. We’ve compiled a list of 10 road trip stops once you arrive to fuel your American spirit. Envision the daily life and combat faced by the crew during a tour of the Battleship NORTH CAROLINA. This ship, which was considered to be the world’s greatest sea weapon at the time of her commissioning in 1941, fought in every major naval offensive in the Pacific in WWII. 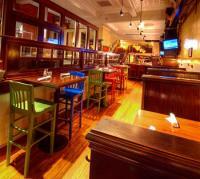 Located in Historic Downtown, Front Street Brewery is Wilmington’s only restaurant and brewery. It was the city’s only microbrew pub and restaurant when it opened in 1995. What better spot to grab a good ole’ American beer? And don’t forget their famous pulled chicken nachos! Tour Front Street and Wilmington’s other craft breweries via the Wilmington Ale Trail. Located in Historic Downtown Wilmington, Thalian Hall Center for Performing Arts is one of the oldest and most beautiful theatres in America and is also located in Historic Downtown Wilmington. When it first opened in 1858, the building housed the town government, the library, and an opera house. It is now listed on the National Register for Historic Places and is said to be haunted by some. No trip to Wilmington would be complete without stopping by at least one of our historic homes. Bellamy Mansion is one of the state’s most spectacular examples of antebellum architecture. The Burgwin-Wright House features Georgian architecture, includes Colonial-style gardens, and is built on the foundation of a former city jail. And Latimer House captures upper-class life during the Victorian period in Wilmington. 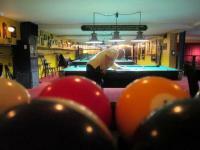 Hit up Orton’s Billiards & Pool for an evening of billiards and music. Established in 1888, Orton’s is the oldest continuously operating pool hall in the U.S. Hop in the car and make the 15-minute drive to Wrightsville Beach – the closest beach to Wilmington. The island was recently recognized as a pioneer in East Coast surfing and the birthplace of surfing in North Carolina. A highway marker now commemorates its surfing heritage since 1909. Surf’s up! From there, head to Carolina Beach, which is another 20 minutes or so from Wrightsville Beach. One of the last remaining beach boardwalks on the East Coast, the Carolina Beach Boardwalk has been named one of the best boardwalks in the country many times over, thanks to its seaside shops, restaurants, and entertainment. Fort Fisher is located at the southern tip of Kure Beach, Carolina Beach’s closest neighbor. Until the last few months of the Civil War, Fort Fisher kept the port of Wilmington open to blockade-runners supplying goods to Confederate armies inland. 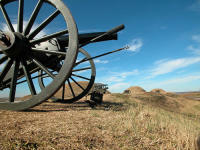 When Fort Fisher fell on January 15, 1865, the defeat of the Confederate Army was not far behind. Approximately ten percent of the fort still stands today. Explore indoor and outdoor exhibits, along with notable artifacts. The North Carolina Military History Museum at Kure Beach houses indoor and outdoor exhibits that feature artifacts and military vehicles representing all branches of service and previous wars. Last but not least, make time for a visit to one of the oldest existing peanut plantations in North Carolina before hopping back in the car to head out of town. Poplar Grove Plantation has been listed by USA TODAY as one of the 10 Best Southern Historic Plantations and is located about 20 minutes outside of Wilmington.